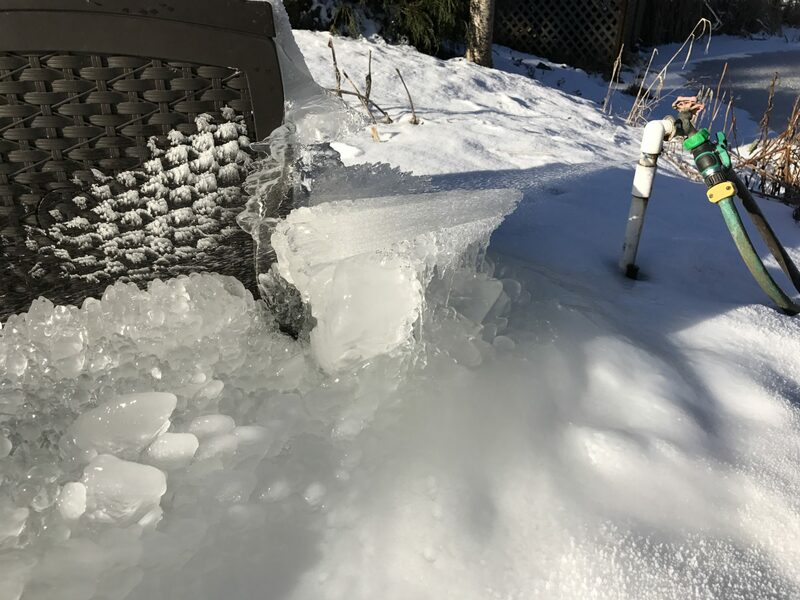 It’s warming up, so it’s finally time to turn on the garden water. We have lots of taps around the property, divided into south, west, and east zones. They are normally turned off and drained over winter, to avoid them freezing and bursting. 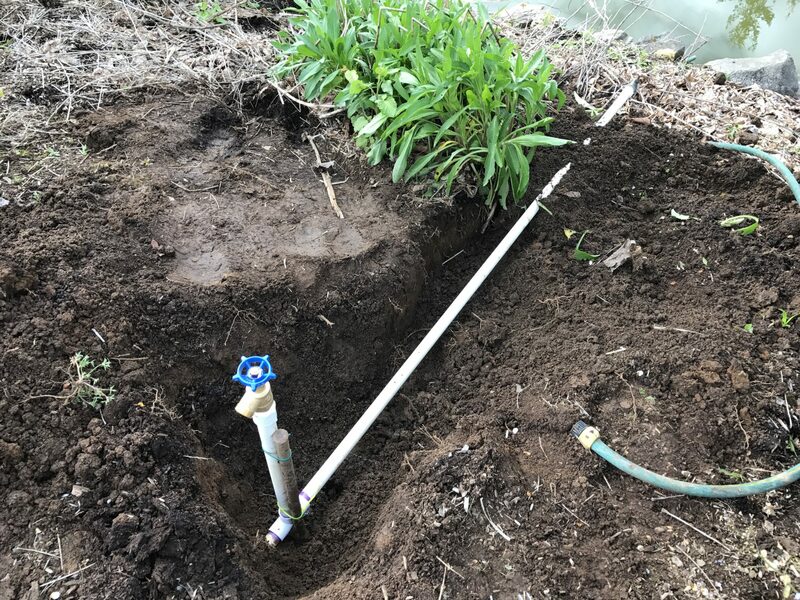 Unfortunately, I left the east-side taps on too late last year (so I could refill the chicken water), and I had a couple of bursts: one in the veggie garden, and one by the pond. So before I could turn on the east water, I had to fix those, which I did late today. 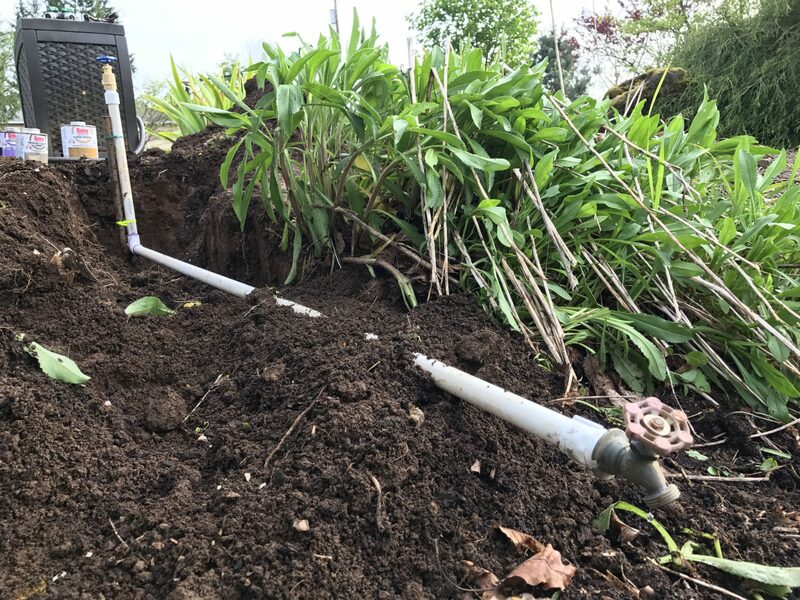 While I was at it, I extended the tap by the pond to add a second tap closer to the pond, a bit lower down, so it can be used to drain the water out of the system (and top up the pond, as needed). I must say, it was fun to get back to garden plumbing projects, even a tiny one like this. ← A chick in the hand….